I acquired this from the piece's original sculptor. 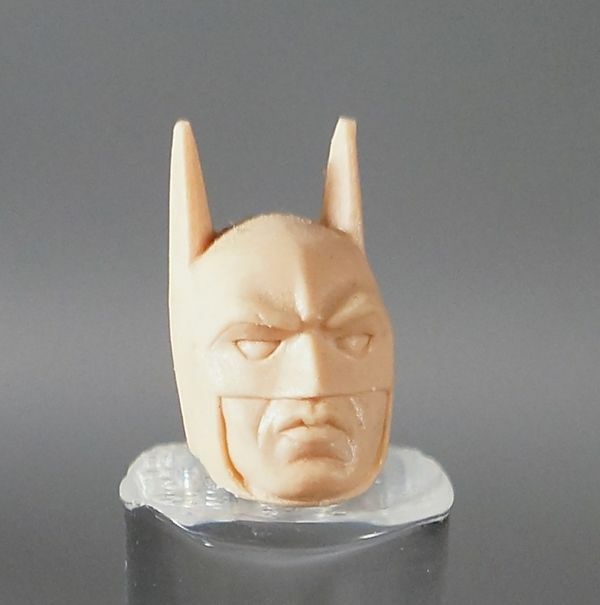 He worked on the likeness sculpting for quite a few of the Batman movie figures, including Michael Keaton's Bruce Wayne, Jim Carrey's Riddler, Tommy Lee Jones' Two-Face, and Chris O'Donnell's Robin amongst others. 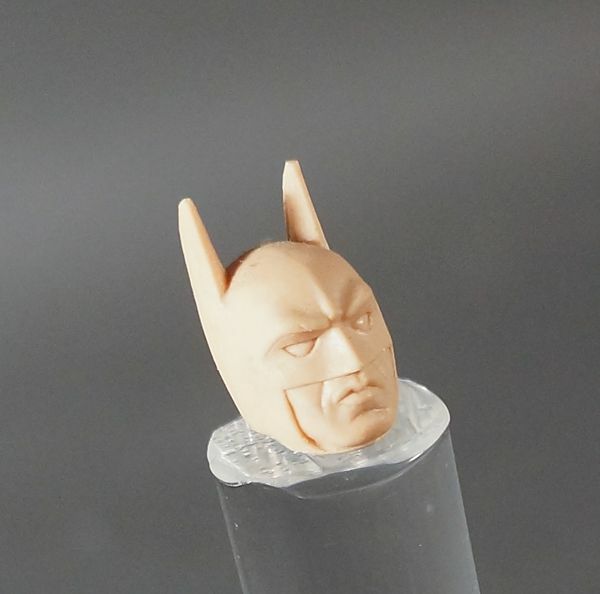 This head is the earliest form of a physical prototype for this piece. After the wax stage, a silicone mold is made to generate a resin hard copy. That resin prototype can then have revisions made to it before entering into the tooling and plastic test shot prototype stages. The sculpt here is done by hand in wax at a 1:1 scale (unlike many other lines which are sculpted at twice their size to capture detail and then shrunk down to production size). To know that such an amazing likeness (even by today's standards) was achieved at this size without the aid of scanning technology is pretty astounding. 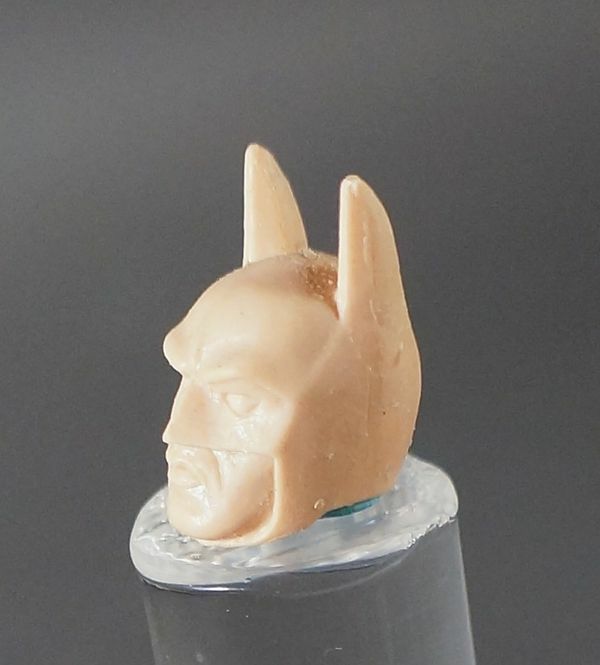 And thankfully, the sculpt survived being broken from its original silicone mold almost entirely in one piece; Wax sculptures often break when being removed from their mold. To the kind gentleman I acquired this from: If you should ever come across this, my heartfelt thanks for allowing me to acquire this wonderful bit of Batman history- The first live-action Batman movie toy likeness ever created! Great piece! Thanks for sharing :) It is amazing how much it looks like Keaton.